In the last few months, life has felt particularly stressful for us – my husband, Steve has been facing major changes at work; I’ve been suffering from a prolonged bout of depression, which I’m thankfully coming out of the other side of; my son, Liam has been busy with college, exams, and work; and there are lots of other things in between. We’ve all said at one time or another that we don’t have enough time to do *insert the thing here* and we have become trapped in a cycle of sleep, eat, work, repeat. Then on the weekends, doing not very much other than catching up on sleep from the week, and doing [boring] household stuff. Life has become pretty repetitive. When Charlie Bigham’s challenged me to steal back time with my husband, I jumped at it. I’d already been saying to Steve that we don’t seem to do anything much any more, and that we should do more things on the weekends with our free time. This challenge seemed like the perfect opportunity to start. As it so happens, this weekend was also the one where Liam had time off from work to spend time with his dad, so it worked out all around for everyone! Charlie Bigham’s sent us 3 of their ready meals – we’ve tried their pies in the past, which we enjoyed, so was looking forward to making time to enjoy the three oven cook dishes we were sent. We enjoyed the first dish, which was Moussaka, on Friday night. As a Greek-Cypriot girl, I know how much a labour of love moussaka is to put together. You have to cook everything separately – the potatoes, the aubergines, the meat filling, the white sauce… then comes the layering, and finally cooking in the oven. It takes a lot longer than the 35 minutes it took to bake the ready-made one from Charlie Bigham’s. Whilst it was cooking, we opened a bottle of wine, and was able to talk about our day. Final decisions had been made for Steve’s work, and so, we were able to put the finishing touches to our holiday plans for my 40th birthday in September. 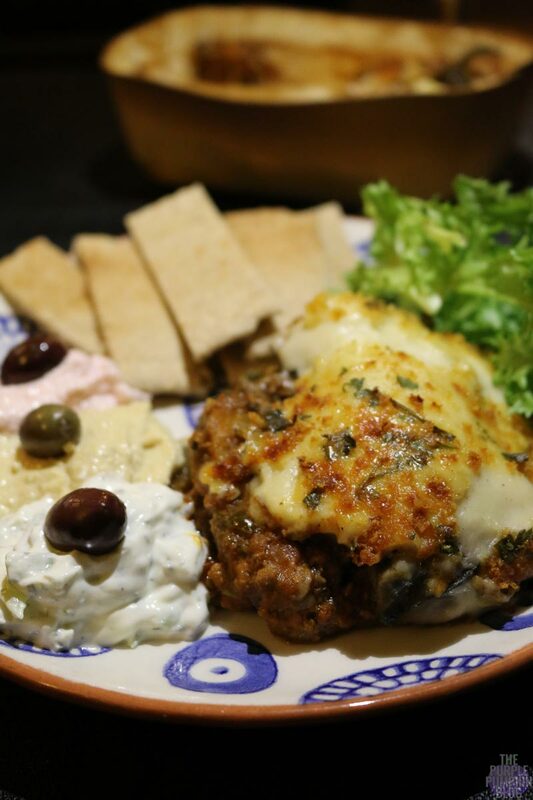 We served the moussaka with salad, toasted pita bread, olives, and some dips – hummus, tzatziki, and taramasalata. Normally I would make at least one of those dips myself, but tonight was all about stealing back time, so I had pre-bought them. 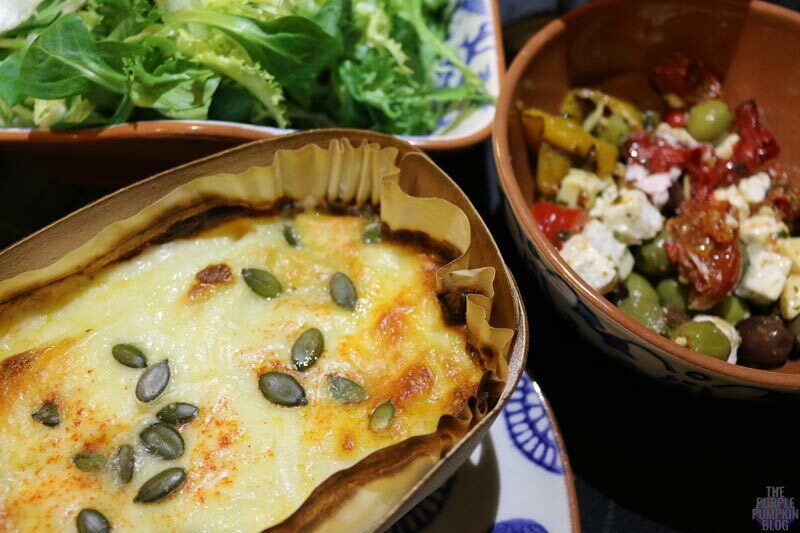 I’m quite fussy when it comes to Greek dishes – because I make them a lot myself, the recipes that have been handed down to me are tweaked to my preferred flavouring, and I can’t stand it when a ready-made dish doesn’t taste quite “right”. 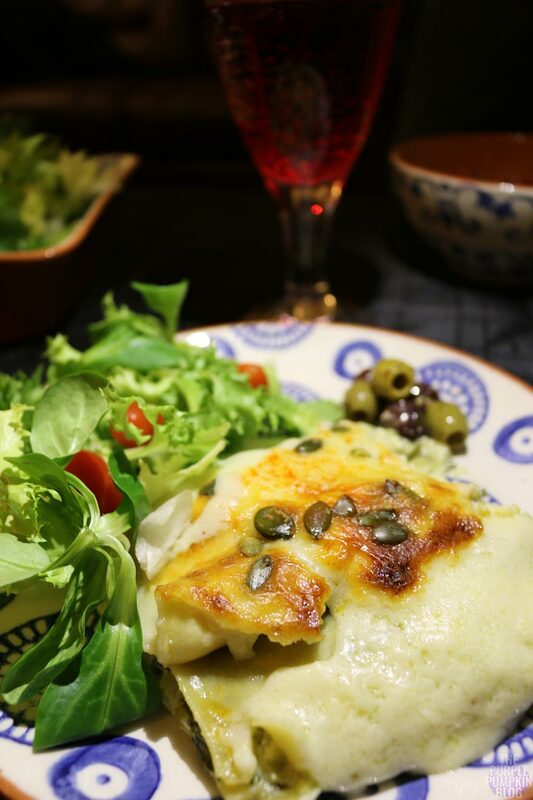 Luckily, this moussaka was delicious – it was packed with tasty ingredients, and very filling. I would definitely buy this again when I’m pressed for time. The first full day of the weekend, is always a lie-in day for us. Liam gets up early for work, and it doesn’t matter how quiet he is, his shuffling around the house invariably does wake us up! It means we then try to fall back asleep for a couple extra hours. We’ve gotten quite used to our lazy Saturdays – plus I don’t much like going out on a Saturday because of all the crazy traffic that seems to build up on this day. We always set the coffee machine on timer on the weekends, so that we wake up to a freshly brewed pot of it. Even though we hadn’t been woken up by Liam, our cat Pumpkin had other ideas, deciding jumping onto our pillows and meowing in our faces was the right way to tell us it’s time to get up! With her fed, and let out, we had breakfast in bed, and continued with our holiday planning, which we could now really get excited about. We were holding off booking certain things until we knew for sure what was happening with Steve’s job situation, and now that we knew, we could finally book those experiences. 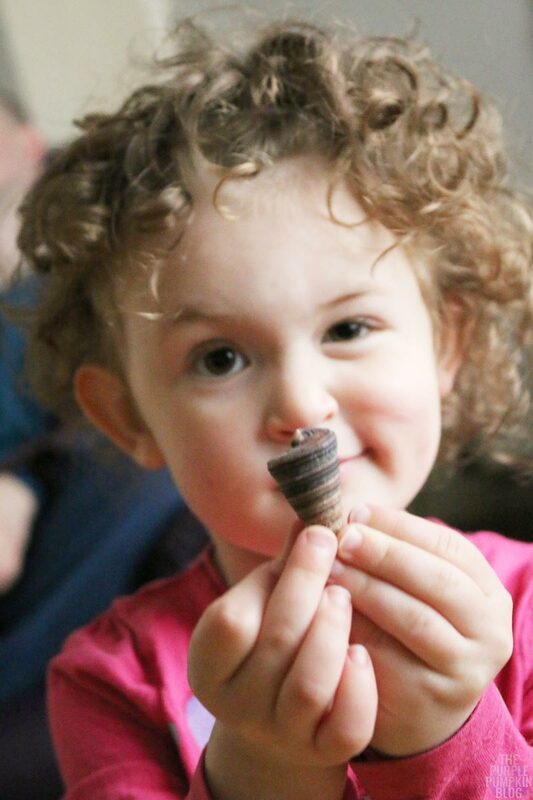 Our niece Sephy wanted to come and see us, and I’ve always got time for her! Plus, thanks to some earlier decluttering, I had some arts and crafts stuff to give her, which she was really excited about! After a couple of hours with Sephy, and my sister and brother-in-law, Steve and I got back to holiday planning, and catching up with one of our favourite TV shows that we’d recorded. We were a couple of weeks behind, so had a marathon viewing of Blue Bloods, which continued into early evening, when our second Charlie Bigham’s dish went into the oven. Tonight it was Spinach & Ricotta Cannelloni, not something I’ve ever made myself, but I can imagine it would take longer than 30 minutes, which was the time it took for it to cook. Steve had nipped out earlier in the day to collect the shopping we had ordered online. He also popped in store to pick up another bottle of wine for dinner, and some antipasti to go with our Italian dish for the evening. I liked the wooden boxes that all of the meals came in – felt so much nicer than the plastic ones you usually get. The cannelloni was rich and creamy, and we both enjoyed this dish too. With the sun shining on Sunday morning, we made the most of the beautiful weather, and drove out into Essex to visit Danbury Country Park. It was a chance to get a nice long walk in, which we hadn’t done for a while, and also for me to continue learning how to use my new camera. 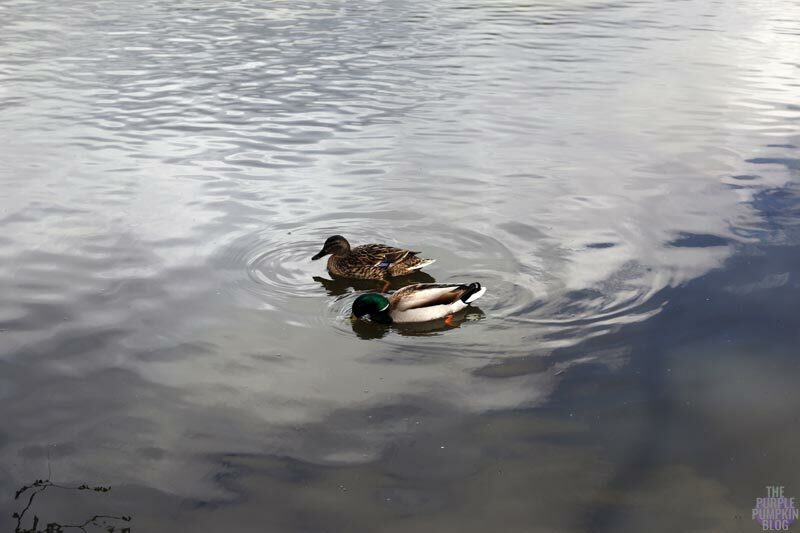 It was a lovely park, and it was lovely to be out in the fresh air, and taking in all the sights and sounds of nature. 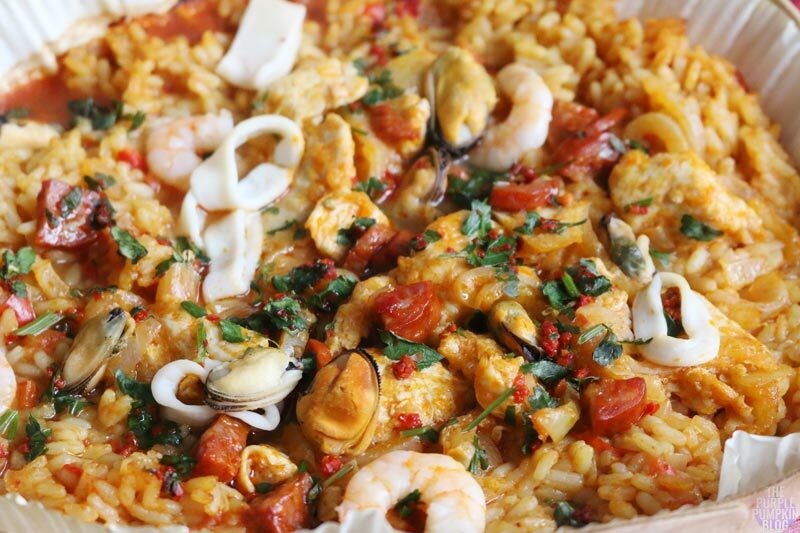 We came home for a late lunch of Charlie Bigham’s Paella with chicken, king prawns, squid, chorizo, and mussels. Of the three dishes, this was our least preferred, we both found it to be really heavy with tomato flavour, which seemed to overpower everything. That said, there was a good mix of the ingredients, which were not skimped upon and it looked so pretty in the round wooden tray. 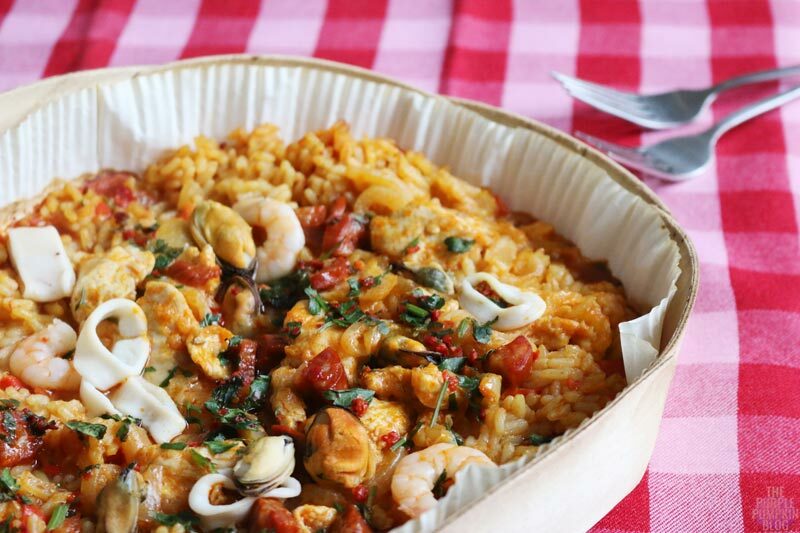 This dish came with a foil lid, hidden underneath, that you place on top to prevent the paella from burning. All too soon, our weekend came to and end, but it was nice to fall into bed on Sunday night, commenting on how much we had done with our time, instead of wasting it, like we have been guilty of doing for far too long. Now that the spring/summer season is here, I plan on making more of our weekends, and getting back out there, because I’ve been trapped inside for far too long now! Moreover, I’m going to make time for just the two of us at least one evening a week – we get so busy doing other things, we are like ships in the night sometimes, and life is too short for that. How do you steal back time as a couple? Disclosure: A collaboration with Charlie Bigham’s. Not at all – most weekends, we do nothing – life has been hectic and stressful recently, and by the weekend we are spent. I am also terrible for working on the weekends, and into late at night – a habit I’m trying to break!